Cribbs Causeway is the main concentration of retail parks, foodstore and shopping centre retailing in the South West of England. 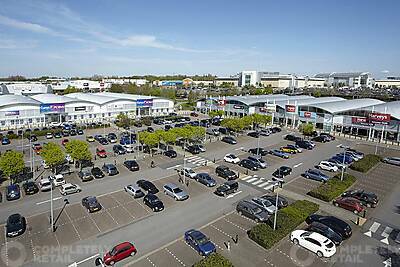 The Open A1 retail park totals 215,000 sq ft and occupiers include a 70,000 sq ft Currys/PC World Megastore, Smyths Toys, Argos, Harveys, Sports Direct, ScS, Oak Furnitureland, Wren, Next Home and Magnet. Adjoining occupiers include Morrisons, Toys R Us, Tesco Home Plus, Kiddicare and B&Q as well as the The Mall, Regional Shopping Centre. The park is located off Junction 17 of the M5 motorway, north of Bristol City Centre.